EPX is a secure, fully integrated, international payments platform acting as processor, acquirer, and backend service partner. "EPX - A Great Company with Great Solutions"
Our representives take a very hands on approach to making sure what we have requested is achieved in the best possible way with efficiency and follow up. Greg responds to all of our inquiries with tenacity when needed and he pulls the right company resources together to find and solve any problems or technological challenges quickly. There are very few things that we dislike about EPX. At times, the turnaround time for larger orders seemed to take longer than we had hoped. When we did inquire our representative Greg was on top of things right away with no questions asked. EPX for payment processing with the Ingenico terminals has been a seamless solution. Their support in conjunction with our EHR vendor and our application analysts has overcome many challenges to help us meet aggressive timelines with solutions that no other clients had yet to complete. "Quick set up and great service"
We really enjoyed how quickly it was to get our system up and running. Converting over from an existing processor can be troublesome at times, but the equipment arrived and EPX integrates with our software vendors which made the switch much easier. Chip credit card processing times at our point of sale are just about as quick as they were with the swipe method. We're still a bit early in the transition, so it is hard to say if there is anything that substantially wrong. We did have the wrong limit configured for our processing but Charles, who set up our account, fixed it within an hour for us. We are still waiting for our first monthly statement to see how it accurate it was with the estimate during the sales relationship. "EPX Is the right choice." EPX is easy to use, flexible, and cost effective. We switched to EPX from from Payment Vision when we deployed online loan payments and decided we could also use their admin interface for our Call Center and Collections. The application is so easy to use training is a snap. We saved a lot in settlement by switching, plus assure only debit cards or ACH are used for loan payments for compliance purposes. No dislikes to report. While nothing is perfect, there have been no issues that were not quickly resolved. Gave us th ability to accepted loan payments from any FI as ACH or Debit card. We are also planning to deploy PayPage to collect registrations from non-members. The reports are very user friendly and provide great detail. I dislike the Equipment cost that is associated with accepting credit cards. The processor receives income from each transaction and equipment. We are having a few issues with our clerks overcharging customers. Once this happens the refund process is extremely long 5 to 10 business days. Our customer are upset of the length of time for the refund to go back into there bank account. EPX cares about our business, and goes the extra mile to work with us to help find ways to solve our opportunities. Their integration team is always very quick to respond to requests. They are willing to spend time with us when we need it. They may not always have exactly what we ask for, but they always help us find a way to solve for what we need. We don't have any issues with EPX, everything works fine. Additional functionality would always be nice, e.g. allowing us to limit payment options. If you have minimal needs, and know exactly what you want, there are probably multiple companies that can help you. If you need a partner that can work with you, provide you direction, and help you get started, EPX is a great partner for that. 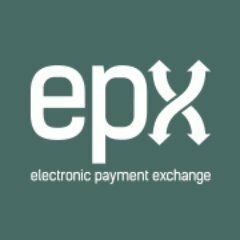 We are providing a payment service for multiple clients, and EPX has helped us to have a single efficient process for all clients, while still enabling unique features for each of our clients. "EPX for all electronic payments!" We have been partnering with EPX for quite a few years and I must say that they have been our payment processor of choice for a number of reasons. First, they have always provided excellent support if our clients had any issues surrounding payments. Their platform has been rock solid and in processing both ACH and CC payments. EPX offers an excellent reporting platform allowing our clients to simplify their reconciliation process. Our clients are all asking for a P2PE certified solution and EPX is moving in that direction. EPX provides an excellent API for integrating into our healthcare payment solution. The biggest benefit has been a highly reliable payment processing platform. They only think I don't like is always changing the password. The next day payments, that's what I like. "EPX provides superior support. " Any issue I have come across, even if it is not EPX's issue, have been resolved to my satisfaction. There is nothing I can state negatively about EPX. I have not used their software in a few years but was part of the initial setup. Just this week we had an issue with accepting credit card payments. The issue was actually with another vendor. Greg coordinated three different business, Amano, PSX & Acceo to get the issue resolved. The reports are detailed and the representative are very responsive and helpful. It helps greatly with reconciliations. "EPX Provides a good value for quality merchant services processing"
EPX has been extremely easy to deal with concerning our merchant service processing. Their fees are very competitive as well. The only dislike I may have is that customizing the reports is not as user-friendly as I would like. As more and more companies continue to pay via credit card, EPX is helping our company keep our merchant service fees as low as possible, while processing customer payments in an extremely timely manner. The process is simple and seamless. We were able to use this solution to offer a new payment option within online banking and over the phone transactions. The chargeback documentation requires a transcription of the conversation. We record conversations for authorization of payments, and they are not considered sufficient evidence when disputes arise. Indirect loan payments and over the phone loan payments. "Proactive Customer Service results in a valued customer"
The monthly status reports provided are personalized and outstanding. It provides a snapshot of changes that may require further follow-up. The EPX team has made themselves available in a timely manner for anything that we need to address. Nothing comes to mind. EPX is generally solid all around. Downgrades including EIRFs. Helped to maximize our run rates. "The process for verification is cumbersome. " I like that we get paid and can apply payment when convenient for me. The verification process doesn't always work as expected. Thank you for the feedback! It sounds like you might be using the Account Updater feature. Our IT team is currently working on streamlining that AAU process, but it is still a work in progress. If you have any issues, please always feel free to reach out to our customer service at (866) 581-5239. "Its Ok but needs to be easier and more like other machines in most retail shops"
the fact that you use the chip for credit only and must swipe for debit and if customer does that before selection is made it locks up system for a few minutes. these machines should be constant across the board. it has poor options with GBMS as POS. "Quick response and great customer service"
Greg was a big help with solving an issue we had as far as refunding payments. There is nothing that I have encountered so far that I dislike. We are using EPX for Credit Card payment processing. It is simple to follow the report. 1. great support staff 2. great availability 3. flexible business arrangements 4. Greg S. is great. sometimes they get too busy, daily reports are not accurate for some networks. great acquiring platform, very easy if you use their bank. 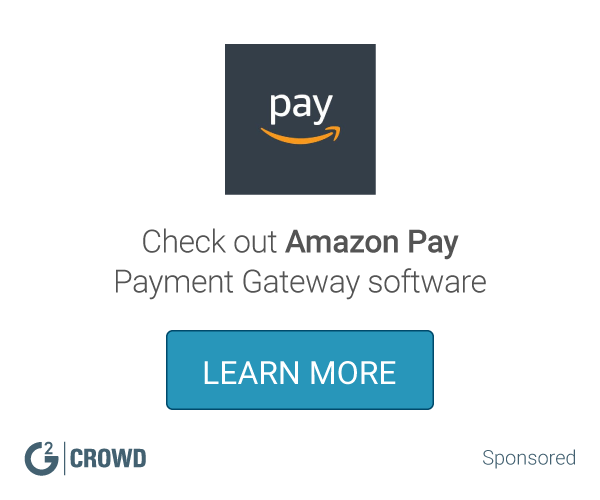 Be able to provide a trustworthy gateway payment resource to our customers. I like that I can get prompt Reporting!! The website could stand to be a little more user friendly! The level of support and industry knowledge. We have not found anything we dislike about EPX. * We monitor all EPX reviews to prevent fraudulent reviews and keep review quality high. We do not post reviews by company employees or direct competitors. Validated reviews require the user to submit a screenshot of the product containing their user ID, in order to verify a user is an actual user of the product. Hi there! Are you looking to implement a solution like EPX?